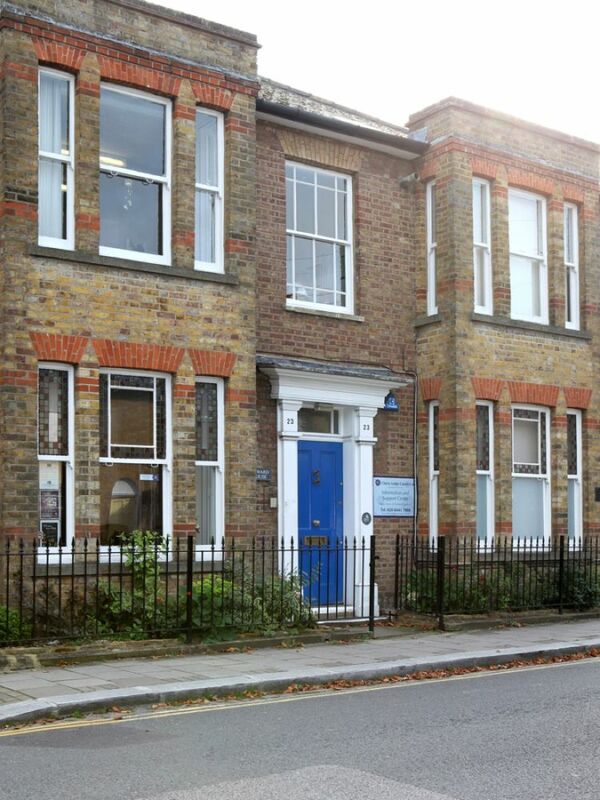 The Cherry Lodge Centre is at Howard House, 23 Union Street, which is a one-way road running from Barnet High Street. We recommend use of the public Car Park (reasonable charges) at the Spires Shopping Centre, which is only a short walk away. There is limited on-street parking in the High Street, Union Street and Wood Street (payment at Pay & Display machines or by mobile phone, or free for Blue Badge holders). The nearest underground station is High Barnet on the Northern Line. The station, on a steep hill, is about half a mile from the Cherry Lodge Centre. To transfer to a bus, it is best to turn left as you leave the station, bear right by the car park, cross the main road at the pedestrian traffic light and then go right to the nearest bus stop.